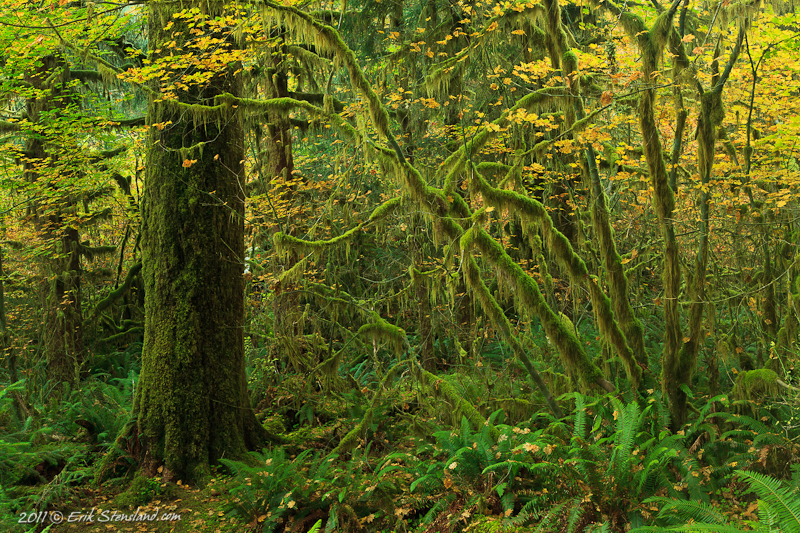 I've not spent a lot of time in rainforests and I don't think I've ever been in one in the autumn so it was quite a treat to visit the Hoh Rainforest in Olympic National Park a couple of weeks ago. The maple trees were like nothing I had ever seen before and with their yellow leaves they seemed to glow in the dimly lit forest. Photo © copyright by Erik Stensland.